David is the founder and managing member of Blackswan Partners LP (“BSP”) a middle market private equity firm. At inception BSP secured financial and strategic backing from Maverick Capital Ltd. (“Maverick”) a hedge fund with total assets of over $10 billion as only the second outside investment manager backed by Maverick. In addition to investments in the consumer, retail, technology and infrastructure industries, David also served as Chairman and CEO of portfolio company Giggle, Inc. the largest multi-channel specialty retailer in the Newborn/Toddler industry until its exit to a financial sponsor in early 2018. Prior to David’s work with BSP and Giggle, he was a senior acquisitions professional at Starwood Capital Group (“Starwood”) serving as the second ranking professional for the 2006 vintage hospitality fund, co-managing Starwood’s Multifamily acquisitions strategy and co-founding Starwood Energy Group. Prior to Starwood, David was the Director of Finance and Strategic Planning for Tyco International, a then Fortune 100 company, reporting directly to the CEO and CFO. Before Tyco, he was an investment professional at Soros Fund Management focusing on private equity opportunities. David began his professional career as an investment banker with Alex. Brown & Sons in the Restructuring and Distressed M&A Group. 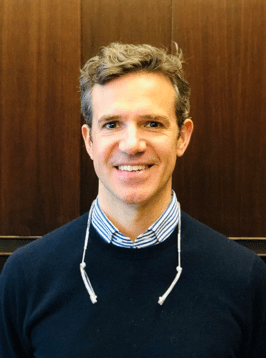 David holds a MBA from Harvard Business School, a BA in Philosophy from Middlebury College and a degree in the General Course from the London School of Economics. He has served on numerous public and private company boards, chairing several special committee assignments over the course of those engagements. He is a Middlebury college mentor and alumni interviewer.